Limited edition quilted winter coats — free range baby. The beautiful Sophie, sporting her custom quilted number. 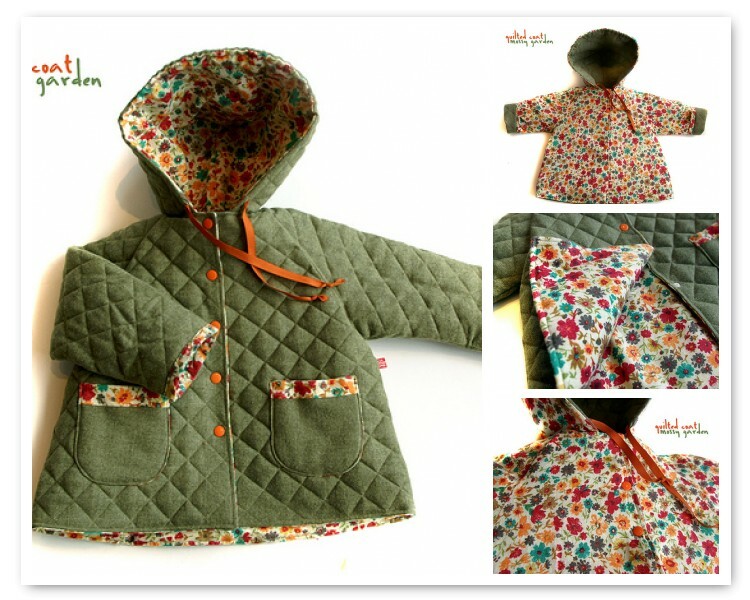 Warm things up even more with the quilted version of the free range baby winter coat! Super sweet and oh so snugly! And I must add, rather time consuming, so these will be a very limited edition if I can't get my hands on any pre quilted fabric.